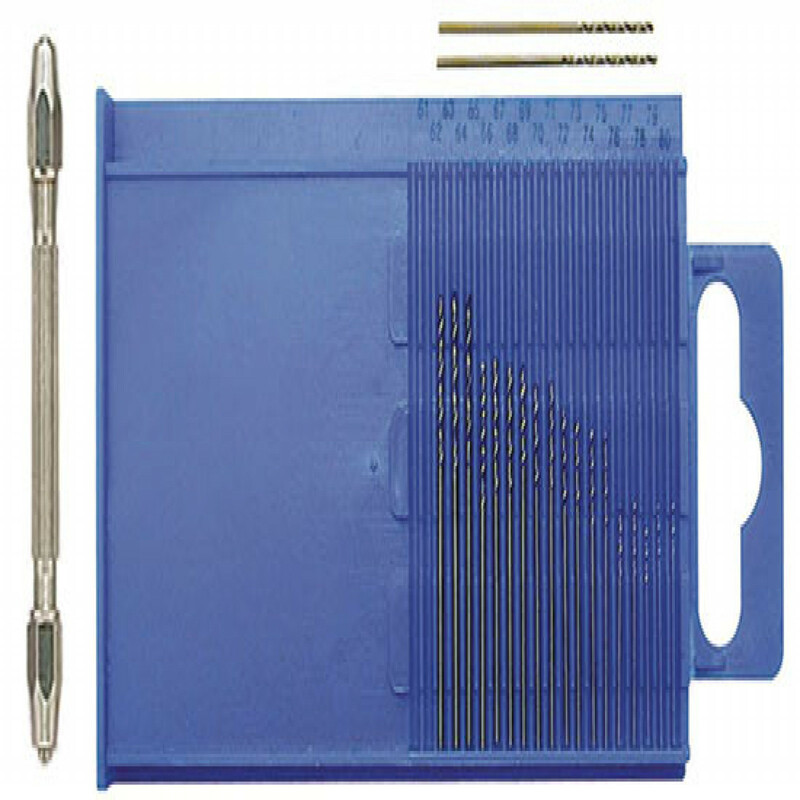 Includes 20 high-speed steel twist drills, sizes #61-#80 in a plastic case with a numbered location for each drill, plus a 3-1/2" long metal pin vise that holds two double-ended chucks for 0mm-2.5mm versatility. High Speed Twist Drills, Size 78 5/pk. 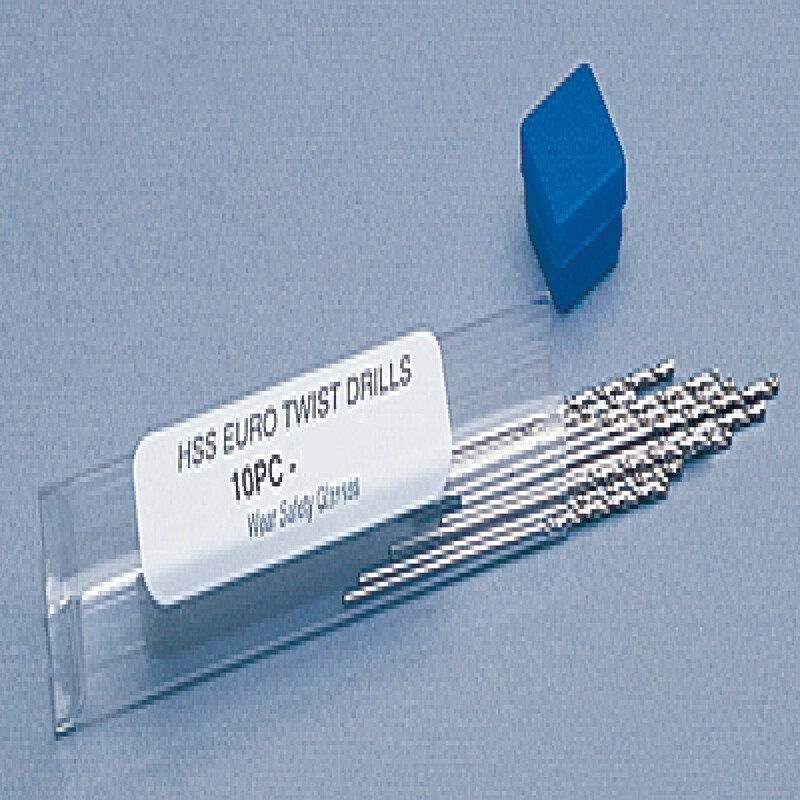 High Speed Twist Drills, Size 70 5/pk. High Speed Twist Drills, Size 64 5/pk. High Speed Twist Drills, Size 60 5/pk. High Speed Twist Drills, Size 58 5/pk. High Speed Twist Drills, Size 53 5/pk. 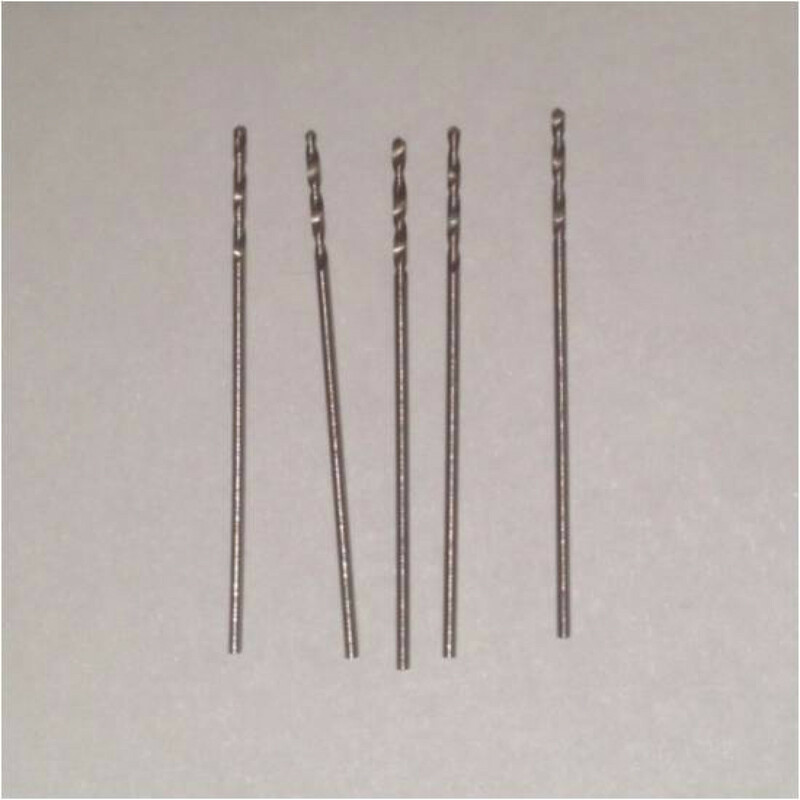 High Speed Twist Drills, Size 52 5/pk.